The implementation of electronic voting in some countries serves as a perfect example of how easily fear spreads, when it’s related to civil rights. On the early beginning, electronic vote unleashed a cloud of doubt that today, continues to generate mistrust because of political and economic interests that are connected to democracy and electoral processes. Several studies made by electoral specialists, evidence various phases of the automated vote process in which fear reaches “peaks”. However, it is fair to add that the suspicions are often encouraged, not by facts but by the political interests associated with the decision of a country to modernize the electoral processes. Doubts on security and transparency issues arise when the technology that will be used is selected. Some of them may be reasonable doubts, but most of them come from campaigns against the implementation of electoral technology. From the citizen’s side, the inviolability of the secrecy of the ballot is put forth, that the vote is not related to the voter who casted it or duplicated, and that all the votes are counted, not removed, altered or added. Also, that there must be an endorsement of every election issued by each of the voters, and that the count is made only at the end of the process. The uncertainties about electronic voting also happen because the system is easy to understand and use for people of all educational levels, allowing multiple audits before and after the election, and satisfies the condition sine qua non of automation: it is fast. Currently, various technologies available on the market offer solutions to these and other concerns associated with the complex process of designing and implementing automated elections. The reason is that most proposals start from the technification of the stages and demands of the traditional manual voting system. Nowadays there are machines used in countries such as the United States, India, Brazil, Philippines and Venezuela, among many others that decided to jump into automation, adjusting it to their own laws and electoral systems, always relying on the security and adaptability the technology offers. An interesting example of this is Brazil, where the nominees are identified with a number needed to exercise the vote, which until the nineties was printed in a paper ballot. After automation, machines with a numerical keyboard were incorporated in order to replace the manually printed ID numbers. This change made the process much easier for the voters. In Venezuela, allowing the voter to verify that his or her vote casted in the voting machine is the same as the one reflected in the paper ballot, became a citizen demand. This led to the purchase of machines that print receipts of the ballot paper, which are deposited in a conventional ballot box and counted at the end of the process to verify that both results match. Currently, this audit is served in 54% of the polling stations. It should be noted at this point that no country in the world conducts so many audits on its automated system (provided by Smartmatic) as Venezuela. Also, that the thousands of subsequent audits are conducted after an election, with a margin of error close to 0%, i.e. what is counted by the machines definitely coincides with the will of voters. Other security aspects that are being efficiently covered in countries that have implemented electoral technology, is that every voter may vote only once and cannot usurp any identity. 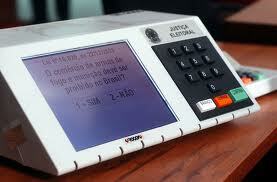 The formula has been to use (fingerprint) biometric identification equipments. With these machines, every person has to go through a check (capturing the fingerprint) which verifies its identity, or as in Brazil that the voter, with its fingerprint, is the only one who can activate the machine to exercise the right to vote. It also has made viable that the software used by the voting machines have digital signatures – that are not nothing but codeshare cryptographic tools (in some countries parties and the electoral body have them), which can safeguard the equipment, systems and reports of violations relating to the use before the election, errors in the criteria and requirements of the process and that the content cannot be modified. The electronic vote has surpassed many obstacles, mainly to achieve public acceptance on the basis of security and transparency. Even though the technology is not free of continuing facing other doubts, prudence has served to perfect the technology and offer the necessary guarantees, instead of being a barrier.